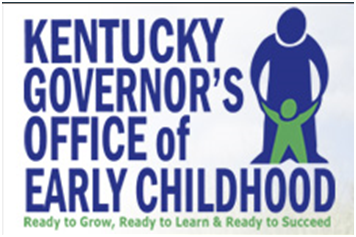 The Vision for Kentucky is that all young children in Kentucky are healthy and safe, possess the foundation that will enable school and personal success, and live in strong families that are supported and strengthened within their communities. Community Early Childhood Councils were created as part of Governor Paul E. Patton's Early Childhood Initiative, KIDS NOW House Bill 706. The primary goal of all Community Early Childhood Councils (CECCs) is to build innovative, collaborative partnerships that promote school readiness for children and families. The Christian County Community Early Childhood Council includes representatives from the local School District, Health Department, Child Care providers, Head Start, Library, Child Care Resource and Referral, Early Intervention, Government and other interested parties. The council meets the second Thursday of each month at 2:15 p.m. at the Pennyroyal Center, 735 North Drive. For more information contact Paula Hampton or Sarah Newman. For more information on Early Childhood Councils, click on the icon above.